Covercraft UVS100 Sunscreen - Carhartt For Chevrolet 2014-2017 Impala. This premium quality, custom patterned folding sunscreen features the iconic Carhartt logo with a brown reflective finish. Iconic Carhartt Logo. Chevrolet Impala,Impala Limited 2006-2016. 2014 Chevrolet Impala LTZ,LS,LT,Eco. 2015 Chevrolet Impala LTZ,LS,LT. 2016 Chevrolet Impala LTZ,LS,LT. 2017 Chevrolet Impala Premier,LS,LT. 2018 Chevrolet Impala Premier,LS,LT. Model: CHEVY IMPALA. CHEVROLET IMPALA (80 & UP) 17 LH. CHEVROLET IMPALA (80 & UP) 14-16 VIN 1 (4th digit, New Style), LH. Side: Left. Part Grade Abbreviations. cc = Credit Card size units. C = Greater than 200k miles. There will be cutout for the sensor and the mirror that will be larger than the size of the sensor. This is designed this way so the heat is not reflected directly onto that sensor. The designer also took into account that this item will be installed and removed repeatedly and it needs to clear the edges of the rearview mirror easily. There will be cutout for the mirror that will be larger than the base of the mirror. The designer took into account that this item will be installed and removed repeatedly and it needs to clear the edges of the rearview mirror easily. G-CH-913 Intro-Tech Custom "Auto Shade" Windshield Sunshade cover for. 2014-2018 Impala w/o DA sedan / Impala Limited sedan. Custom tailored to fit the inside of your specific vehicle's windshield like a glove. This Custom Premium ™ FOLDING Sun Shade with Storage bag is a Great Quality Shade made by the Largest Auto Shade Manufacturer inthe USA! There will be cutout for the mirror that will be larger than the base of the mirror. 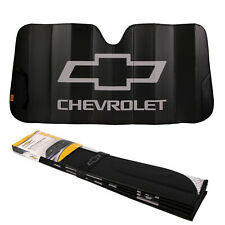 CH-913 Intro-Tech Custom "Auto Shade" Windshield Sunshade cover for Chevrolet. 2014-2018 Impala w/o Driver Assist Custom tailored to fit the inside of your specific vehicle's windshield like a glove. Model: CHEVY IMPALA. CHEVROLET IMPALA (80 & UP) 14-16 VIN 1 (4th digit, New Style), RH. CHEVROLET IMPALA (80 & UP) 17 RH. Side: Right. Part Grade Abbreviations. cc = Credit Card size units. C = Greater than 200k miles. This is aOEM Passenger Side Sun Visor was pulled out of a2018 Chevy Impala LT Sedan 3.6L. The door hinges are in tight excellent condition!! Full Vehicle Kit - made in USA! Model: CHEVY IMPALA. CHEVROLET IMPALA (80 & UP) 14-16 VIN 1 (4th digit, New Style), LH. CHEVROLET IMPALA (80 & UP) 17 LH. Side: Left. Part Grade Abbreviations. cc = Credit Card size units. C = Greater than 200k miles. 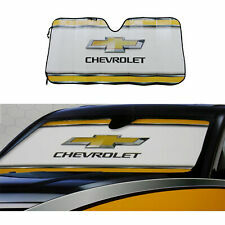 CH-913A Intro-Tech Custom "Auto Shade" Windshield Sunshade cover for Chevrolet. 2014-2018 Impala w/ DA. Custom tailored to fit the inside of your specific vehicle's windshield like a glove. Hi tech incredibly reflective closed-cell foam material can prevent heat buildup by. 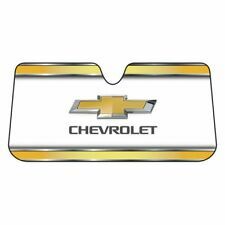 Factory style official Chevy Bowtie logo. You may also be interested in. Part Number: UV11301BL. Title : Covercraft UVS100 Custom Sunscreen - Blue. 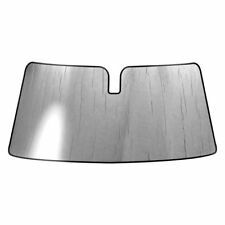 This part generally fits Chevrolet vehicles and includes models such as Impala with the trims of Eco Sedan 4-Door, LS Sedan 4-Door, LT Sedan 4-Door, LTZ Sedan 4-Door, Premier Sedan 4-Door. Fits 2014 2015 2016 2017 14 15 16 17 Chevrolet Impala DOES NOT Include Limited . This premium quality, custom patterned, folding heat shield has a silver reflective fabric on the outer side, soft felt on the inside. Fits 2014 2015 2016 2017 14 15 16 17 Chevrolet Impala DOES NOT Include Limited . This premium quality, custom patterned, folding heat shield has a gold reflective fabric on the outer side, soft felt on the inside. G-CH-913A Intro-Tech Custom "Auto Shade" Windshield Sunshade cover for. 2014-2018 Impala w/ DA sedan / Impala Limited sedan. Custom tailored to fit the inside of your specific vehicle's windshield like a glove. Model: CHEVY IMPALA. CHEVROLET IMPALA (80 & UP) 14-16 VIN 1 (4th digit, New Style), LH. CHEVROLET IMPALA (80 & UP) 17-18 LH. Side: Left. Part Grade Abbreviations. cc = Credit Card size units. C = Greater than 200k miles. Impala 2014-2019 w/DA. Custom tailored to fit the inside of your specific vehicle's windshield. 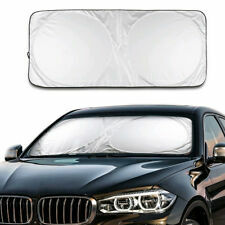 Economic Custom Fit Auto Shade by Intro-Tech Automotive. Fills every corner for maximum protection, style and ease of installation. Fits 2014 2015 2016 2017 14 15 16 17 Chevrolet Impala DOES NOT Include Limited . This premium quality, custom patterned, folding heat shield has a blue reflective fabric on the outer side, soft felt on the inside. In tro-Tech® - Custom Premium™ Folding Auto Shade. 2014-2018 Impala sedan w/ Driver Assist. 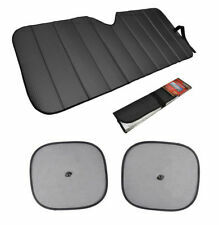 P-CH-913A Intro-Tech Custom "Auto Shade" Windshield Sunshade cover for Chevrolet. Finished with a non-abrasive velour binding. In tro-Tech® - Custom Premium™ Folding Auto Shade. 2014-2018 Impala sedan w/o Driver Assist. 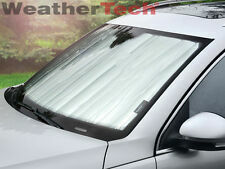 P-CH-913 Intro-Tech Custom "Auto Shade" Windshield Sunshade cover for Chevrolet. Finished with a non-abrasive velour binding. Make/Year :Chevy Chevrolet Impala 2014 2015 2016 2017 2018. Custom made and design for each specific application with precision cutting technology. 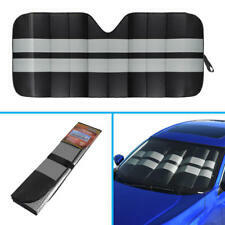 Each sun shade cover the interior of your car windshield. Model: CHEVY IMPALA. CHEVROLET IMPALA (80 & UP) 14-16 VIN 1 (4th digit, New Style), LH. CHEVROLET IMPALA (80 & UP) 17 LH. Side: Left. Problems are usually misunderstandings and with a little patience can be easily resolved. 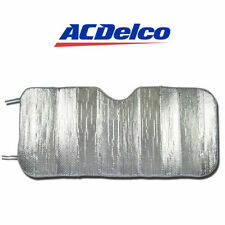 Extra application: When reversing the sunshade, the graphite felt can act like a thermal blanket to absorb heat and use in winter. 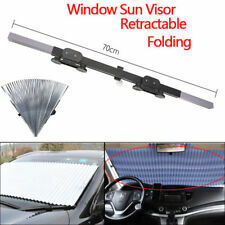 It only take seconds to unfold the sunshade and install on the dashboard. Model: CHEVY IMPALA. CHEVROLET IMPALA (80 & UP) 14-16 VIN 1 (4th digit, New Style), RH. CHEVROLET IMPALA (80 & UP) 17 RH. Side: Right. Problems are usually misunderstandings and with a little patience can be easily resolved. Impala 2014-2019 w/o DA. Custom tailored to fit the inside of your specific vehicle's windshield. Economic Custom Fit Auto Shade by Intro-Tech Automotive. Fills every corner for maximum protection, style and ease of installation.